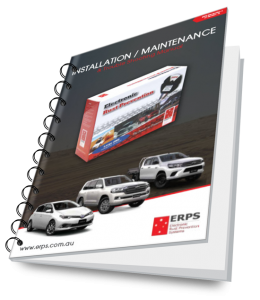 The installation of the ERPS System is a relatively simple one and can be undertaken by any DIY handyman with a minimum of specialist equipment. The installation can be typically be completed in an afternoon, but we recommend setting aside sufficient time to ensure a thorough job. This will come down to your level of confidence, time and budget constraints, however, we’re confident that most people will be able to fit the system themselves. We have created both an installation video & manual for an easy DIY install on any vehicle type. Get your kit & tools setup. Find a location for your generator and attach it. Connect the fuse to the generator. Peel & press your coupler onto your vehicle and seal the outer edge with silicon. Run the coupler power line and connect the couplers using the T-joiners supplied. Connect the fuse to the battery, the generator light will illuminate confirming the system is fully operational. Finally, using a multimeter, you can test the voltage of the system. If it’s reading correctly you can seal your last joint with silicon and the installation is complete.